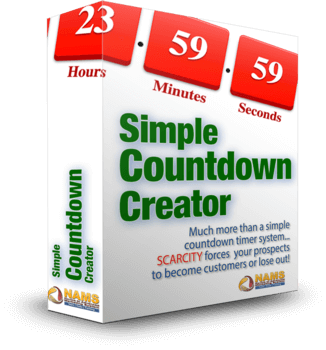 Are You Ready To Instantly Increase Your Sales With This Powerful Countdown Timer? 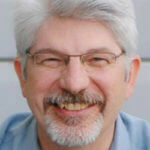 Harness the power of “Daily Deals” just like MULTI-BILLION DOLLAR companies GROUPON and LIVING SOCIAL! Simply make a few tweaks in SCC and you can have a whole year of crazy profitable promotions! 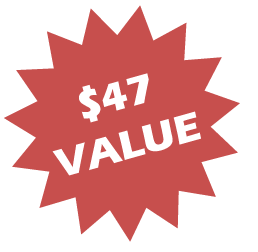 Direct visitors to a special "flash sale" page where they can receive a major discount on a product or service, but only if they buy within a set time, than switch to a new page. 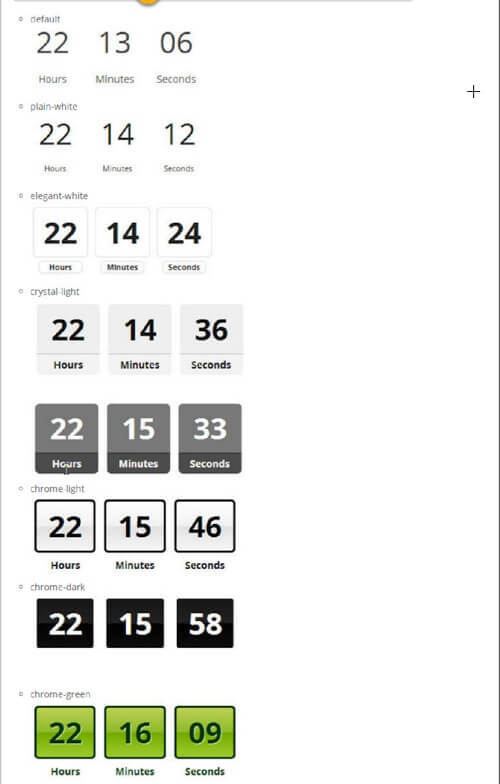 Use the timer any place on your page OR create a static timer that stays in place ( hint hint - see the timer at the bottom of this page with a coupon code - Simple Countdown Creator at work!). Add text, icons or images around your timer. Create a pre-order page with a special discounted price. Then, use SCC to apply “the fear of shortage or loss” by creating a countdown that that switches to the regular price! Easily leverage SCC’s power to quickly setup product launch pages that let your customers and affiliates know when you are going live! Imagine being able to send people to time based offers based on clicking on a link and based on their IP address. 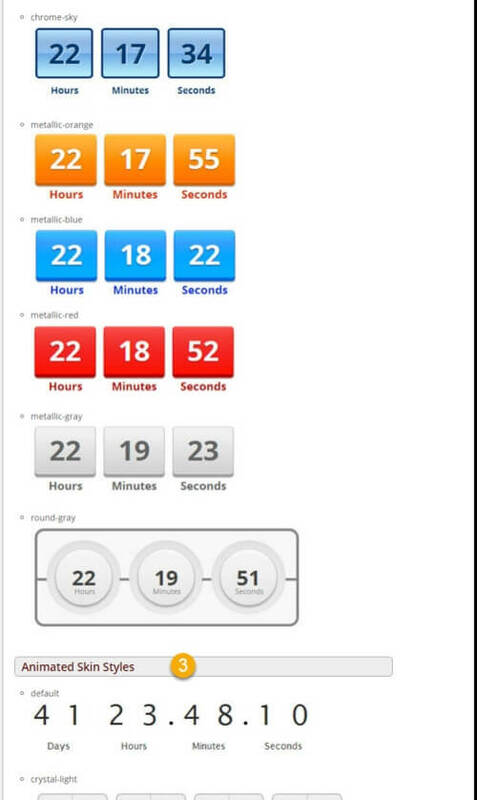 The timer would only start after they hit the page, thus boosting the urgency! Build out automated recurring promotion campaigns with a simple click of the repeat radio button in our software! This is simple way to reach your new audience! The mere presence of the SCC countdown timer WILL apply enough pressure on customers to get them to act. Simply make it live on any and watch your sales skyrocket! Ready to Increase your Profits? Plus You Get Incredible Bonuses When You Buy Today! 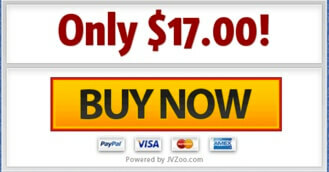 massive automated timed marketing and sales campaigns. This includes all the time-saving, money-saving, and money-generating features we mentioned on this page. You get it included as a bonus for taking action right now! You will receive any changes made to the plugin for the life of this tool! This will be a recurring service beginning July 1st. How many times do you purchase a plug in and there are absolutely no instructions? I just bought one yesterday! This is not an instruction manual. It's a guidebook revealing best practices and tips for using SCC in your marketing campaigns. What would happen to you if your business was shut down because you weren't in compliance with FTC Regulations? Something as simple as not having your TOS statement on your website? You've heard the stories over and over - the government banging on the door of a big internet marketer who didn't have the "right" disclaimers on their website and in their emails. Their business accumulated massive fines or worse, got shut down. At NAMS, we are so serious about protecting our business, I've got the best plan available for all of my legal documents and filings. Today, I'm sharing that plan with you. 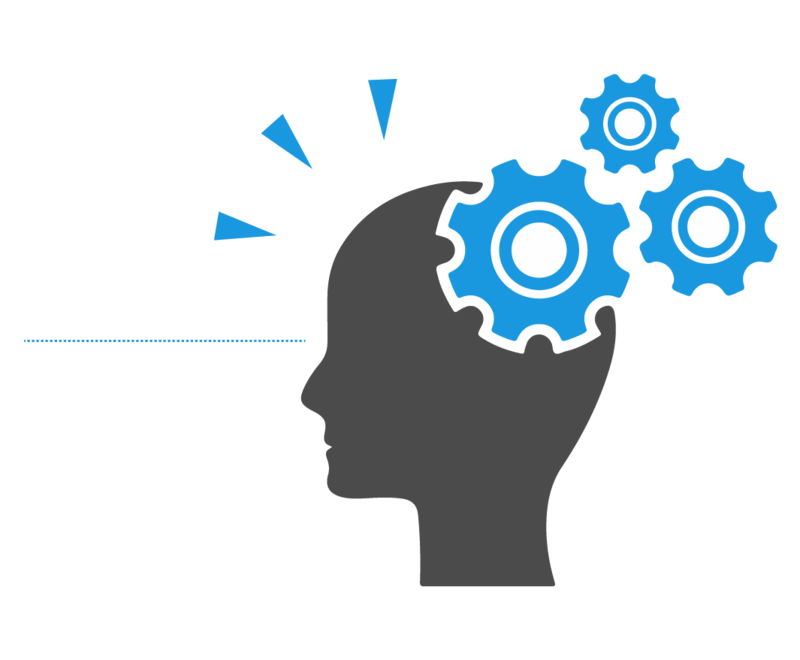 The Internet’s Most Advanced ‘Next Generation’ Online Compliance & SaaS Document Generation Platform, Plus Easy-To-Understand Rules of The Road And Strategies! to a private, customer only Facebook group where we will be there to answer your questions related to using Simple Conversion Commander. Whether you are just getting started or if you are a seasoned marketing professional, you will find great support in this amazing community! Build your business together! 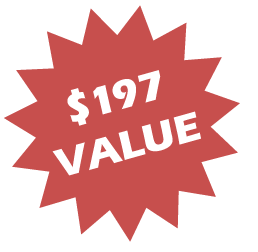 All in all, that’s $1,126 worth of money making, conversion boosting technology, lifetime updates, access to our exclusive NAMS Toolkit customer only VIP Facebook mastermind group, must-have legal protection so you don't get in trouble, and in depth training to make you an expert copywriter – it’s all yours when you act today! NAMS, Inc. Used Scarcity To Boost Sales During Their December Deals Promotion! 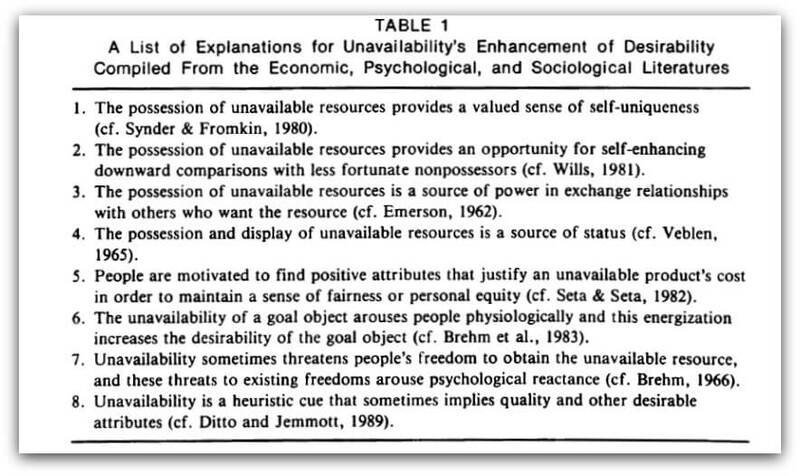 226% Increase In Sales Using Scarcity! 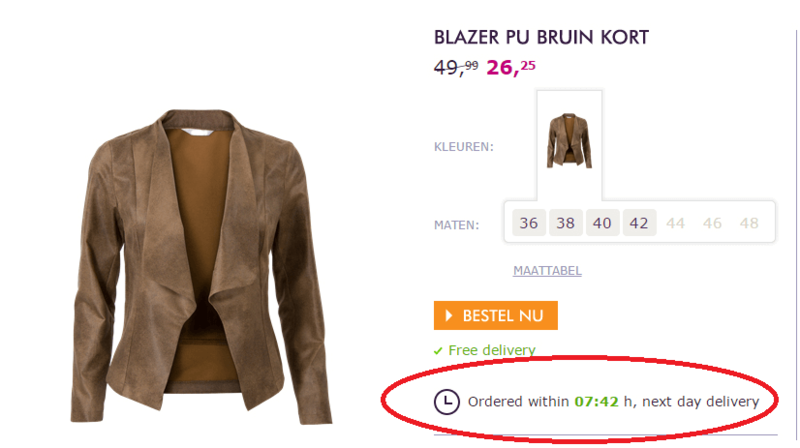 Adding a countdown timer to this ecommerce product page below increased sales by more than 2x compared to the page without a scarcity element on it! Lock down your offers by IP address to ensure customer's can't come back to the website and "game the system". Boost conversions on sales pages, squeeze pages, ecommerce pages, blogs, affiliate review pages, and more! 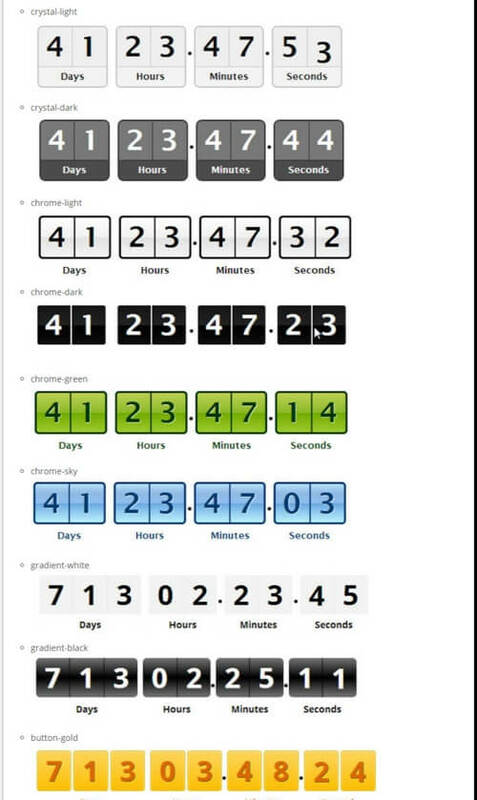 When You Buy the SIMPLE COUNTDOWN CREATOR, There’s NO Risk to You! Not sure this is right for you? What if we told you that there’s no risk to you whatsoever? That’s right! With our 100% Money-Back, No-Questions-Asked Guarantee, you have ZERO RISK! If you purchase SCC and are not 100% satisfied within 30 days of purchase,you'll receive a full refund. No questions asked. Just submit a support request in the Support Desk and we'll refund your purchase price immediately. Let's make you understand how EASY this decision really is. We will shoulder ALL the risk here. 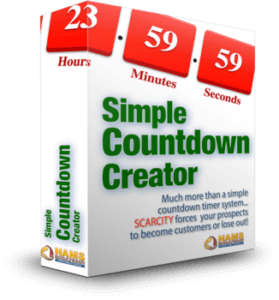 If... after checking out the Simple Countdown Creator Plugin and bonuses for 30 days...you are unhappy with it -- for ANY reason at all -- then WE INSIST you return it. Simply open a support ticket at www.namssupport.com and your purchase price will be promptly refunded. That's a 30 Day 100% Money-Back Guarantee...No Questions Asked. 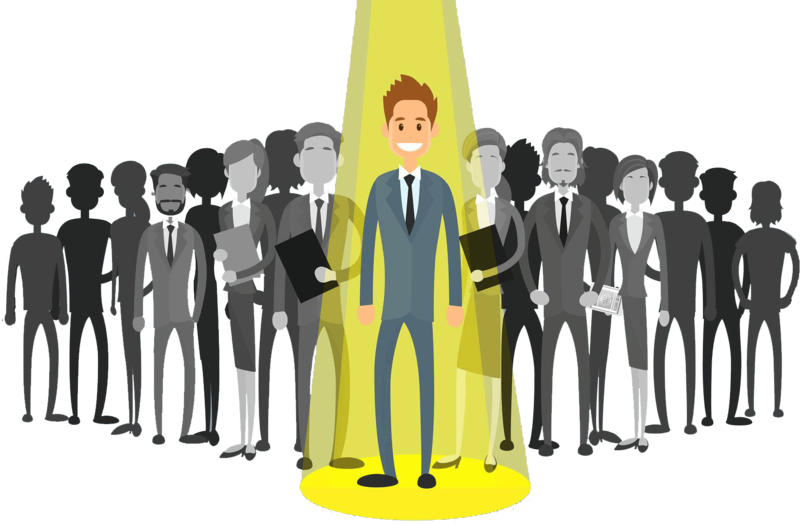 David has used all his skills as a journalist, consultant and entrepreneur to build one of the most successful and fastest growing business training workshops and online business training membership sites available today. David ran into one issue after another getting the typical click tracking tools to work the way he wanted them to. So he set out to create his own perfect solution so he could get rid of the high monthly costs and have a solution that could grow with this company, and not put restrictions on his growth! WARNING: You Don't Want The Timer To Hit Zero! 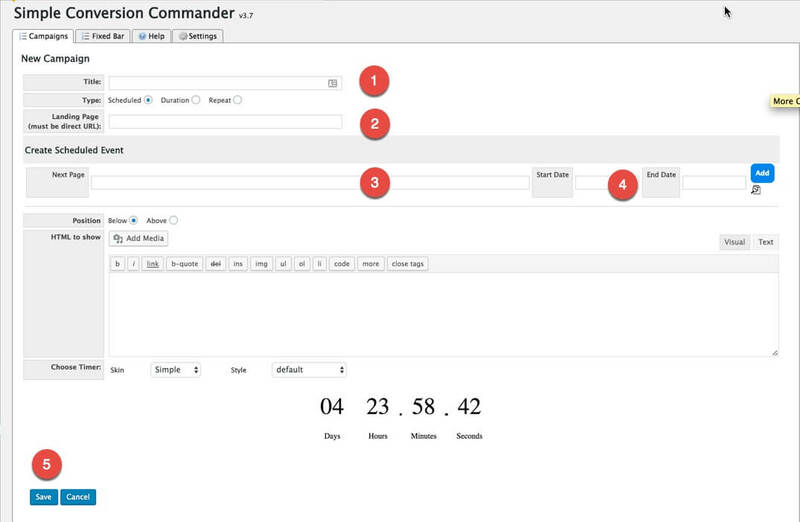 If you act now, you can get the complete scarcity campaign management tool Simple Countdown Creator for the lowest possible price! But order now because this coupon code will be expiring soon! When the timer hits zero the page will redirect you somewhere else, and you will lose out on the savings you are seeing now! 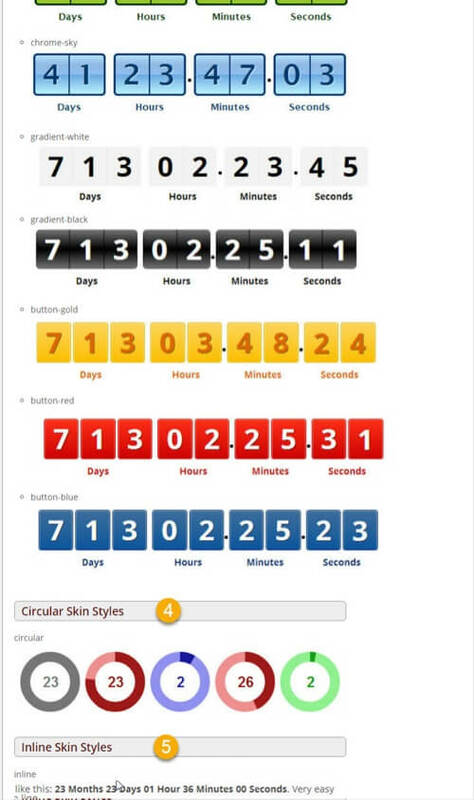 Simple Countdown Creator is so powerful that it will not allow you to come back to this particular page to see this coupon code. After the timer hits zero when you come back to this page the price will be higher for you! How would you like to start putting this tool into play in your own business right now? First step is to take action! We trust it to run our launch! In fact we are using all of our NAMS Toolkit plugins to power this very launch! If we trust it, than you should also! P.S. Order now to start seeing a massive increase in your sales and opt-ins! P.P.S. Remember, when you order now you also get the FTC Guardian basic membership plan a $288 value completely free with your order today! This keeps your online business in compliance, so you don't have to worry about getting shut down! P.P.P.S. You are covered by our 100% money back guarantee! If you are unhappy with your investment for any reason, and you let us know within 30 days we will issuee you a complete refund! At NAMS Toolkit we stand behind our plugins. Unleash the Power of This Plugin Today!